It is ALCAPA alright. But, look at the still frame below. 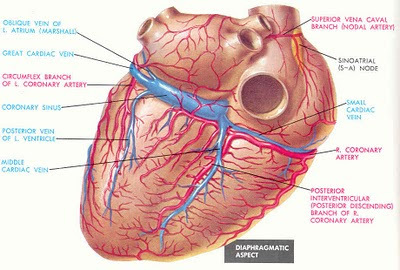 There is a coronary artery originating from the aortic root as well! 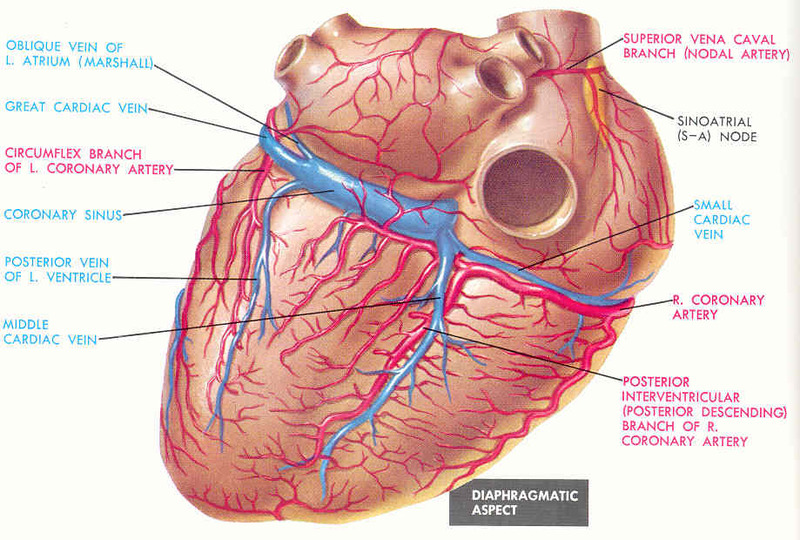 You will see it when you see the angiogram again. Needs more views to solve this. Okay, this is not a standard case. Normally-arising vessel from left coronary sinus of aorta was mainly LCX with a rudimentary LAD. The one arising from PA, was supplying major part of LV. We mulled over what to do with this patient. Finally, she had a CABG to LCA from PA with ligation of origin of LCA from PA. Reimplanting this to aortic root is another option. 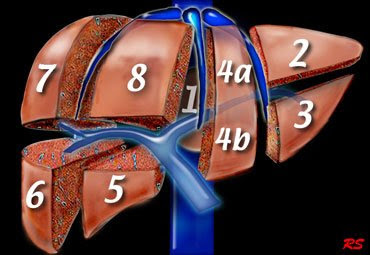 The Couinaud classification of liver anatomy divides the liver into eight functionally indepedent segments. 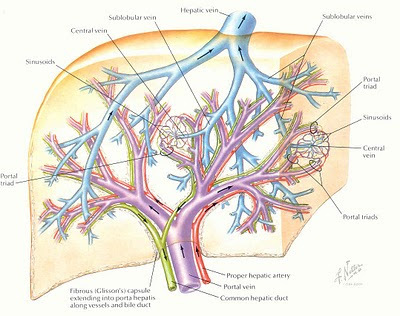 Each segment has its own vascular inflow, outflow and biliary drainage.In the centre of each segment there is a branch of the portal vein, hepatic artery and bile duct.In the periphery of each segment there is vascular outflow through the hepatic veins. 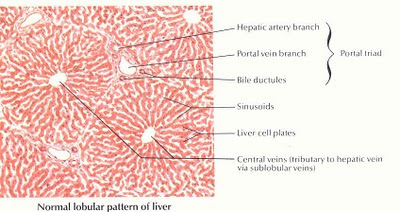 Right hepatic vein divides the right lobe into anterior and posterior segments.Middle hepatic vein divides the liver into right and left lobes (or right and left hemiliver). This plane runs from the inferior vena cava to the gallbladder fossa.Left hepatic vein divides the left lobe into a medial and lateral part. 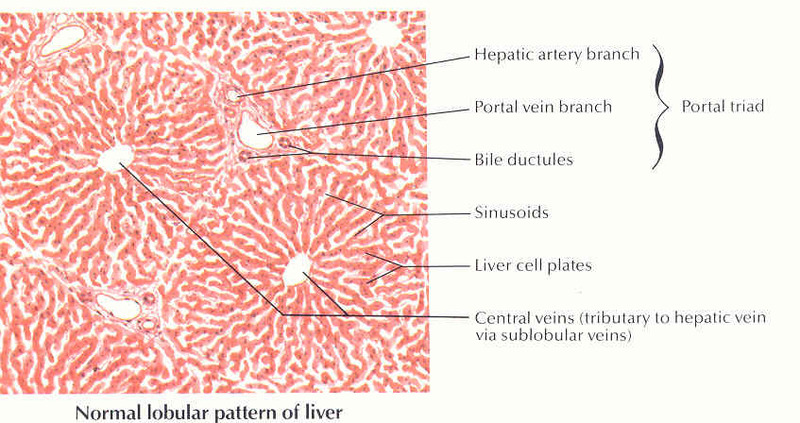 Portal vein divides the liver into upper and lower segments.The left and right portal veins branch superiorly and inferiorly to project into the center of each segment. Because of this division into self-contained units, each segment can be resected without damaging those remaining. 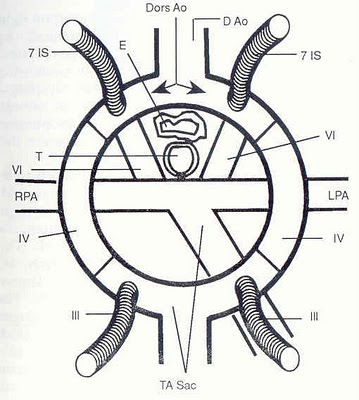 For the liver to remain viable, resections must proceed along the vessels that define the peripheries of these segments. This means, that resection-lines parallel the hepatic veins,The centrally located portal veins, bile ducts, and hepatic arteries are preserved. 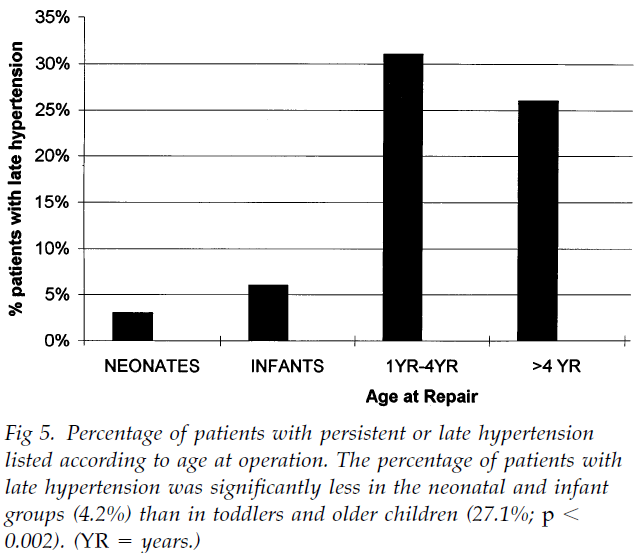 Incidence of hypertension after coarctation repair increases proportionately with increasing age at repair. 1) Increase or equalization of pressures in RA, LA and EDPs (all within 5 mmHg from each other)...Isn't this normal?! 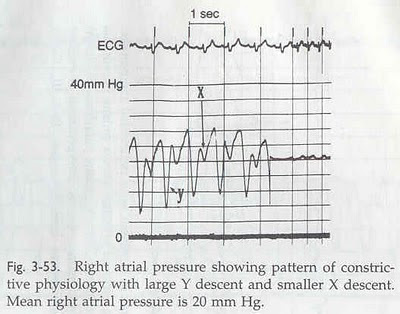 4) Square root sign in ventricular pressure trace (both RV and LV). 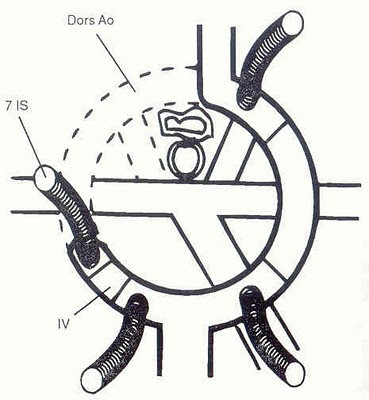 Shown in trace above. Also called "Dip and Plateau" sign. 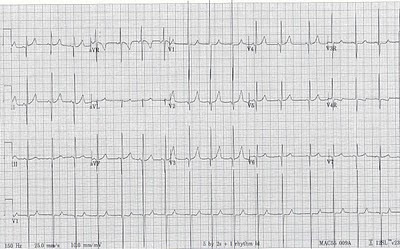 Masked by tachycardia due to short diastole. So, inducing a PVC shows a long diastole - to visualize this pattern. 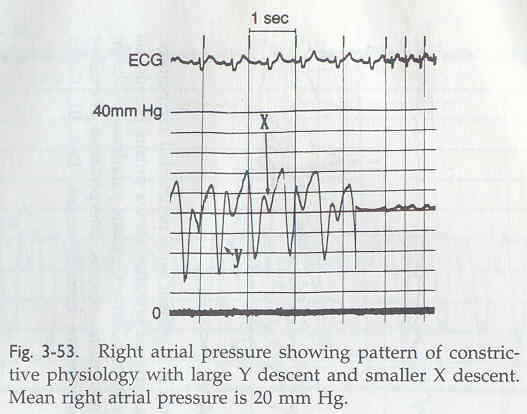 5) Record ventricular pressure during an induced ectopy for reason stated above. 6) Important: Most senstive and specific signs. 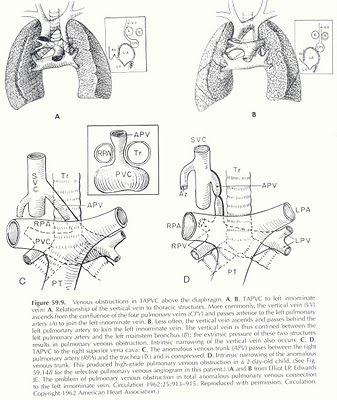 Ventricular discordance or Ventricular interdependence: Normally, RVSP and LVSP are supposed to raise and fall together with different phases of breathing. In Constrictive pericarditis, RVSP raises during inspiration while LVSP falls. Also, Early transmitral gradient (LA - LVEDP or PAWp - LVEDP) decreases during inspiration. Normally, there is no such variation with respiration. Li, J. et al. 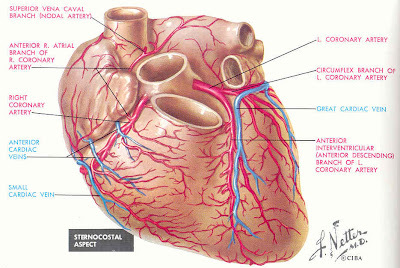 Circulation 2008;117:553-9. Conlcusion: Clopidogrel 0.2 mg/kg/day in children 0-24 months of age achieves a platelet inhibition similar to that of adults with 75 mg/day. 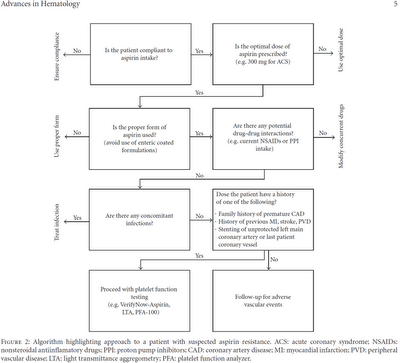 Prospective, multicenter, randomized, placebo-controlled trial. 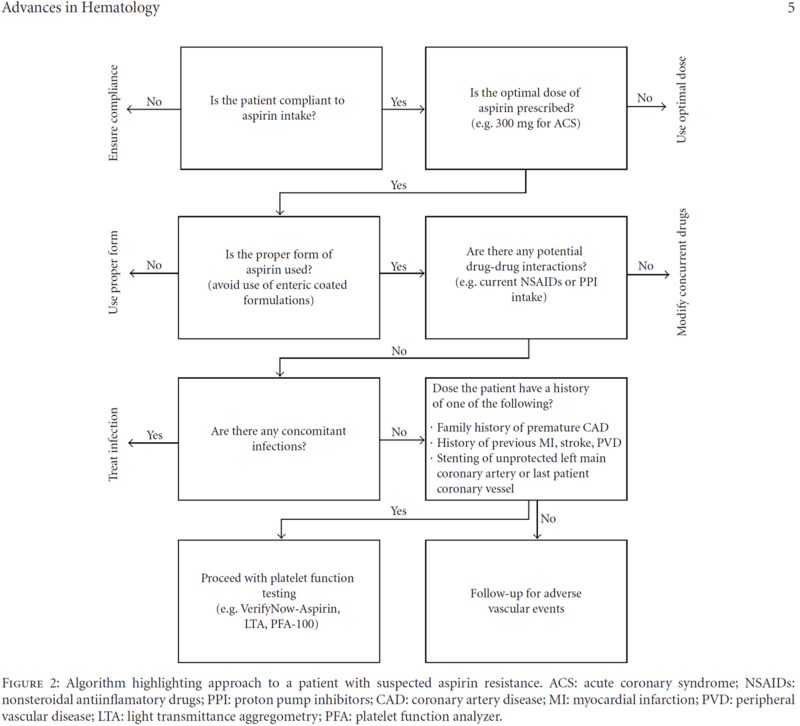 Randomized to Clopidogrel vs. Placebo in 3:1 in sequential groups. Doses used were: 0.01 mg/kg, 0.1 mg/kg, 0.2 mg/kg, and 0.15 mg/kg. Given for 7-28 days. Platelet aggregation was assessed by Light-Transmission Aggregometry (Maximal extent of platelet aggregation and rate of aggregation were calculated). 30-50% inhibition of 5-microMol/L ADP-induced platelet aggregation is taken as therapeutic range (similar to adults on 75 mg/day). 0.20 mg/kg daily achieved a mean of 49.3% inhibition of maximum extent of aggregation & 43.9% inhibition of rate of aggregation. Marked interpatient variability in inhibition achieved was noted within each group. 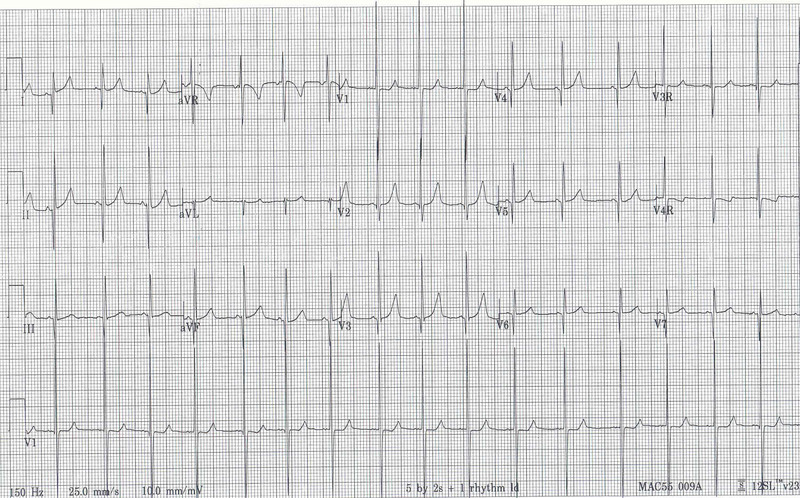 Of course, lead misplacement is another possibility to differentiate from if you have only EKG. ICU: Can you guess the location of arterial line based on location of Dicrotic Notch on the trace?